Mac Sabbath, the Ozzy approved quarter pounder Metallers that MetalTalk exclusively brought to the the attention of UK readers last year, will Drive-Thru the UK in June including a happy meal date at the Download Festival. 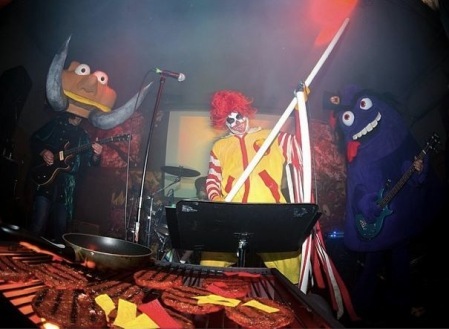 Mac Sabbath have been performing in the California area for the past two years with mind blowing sets combining the sounds of doom heroes Black Sabbath performed by life size McDonalds hamburger chain characters . Quarter pounding Metal at its hilarious best. Fronted by the clowning antics of vocalist Ronald Osbourne , the band are completed by the demonic riffs of Slayer McCheese, the doom laden bass lines of the Grimalice whilst the Catburglar occupies the drum stool. Together they are the inventors of drive thru Metal. 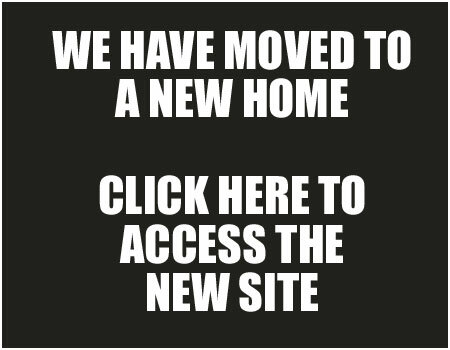 The lyrics and titles of Black Sabbath classics are changed into Big Mac rocking tunes including 'Sweet Beef' which brings a new meaning to a burger joint. 'Frying Pan' features the opening lines of "Cows were going to grind , hope your stomach is well lined." Mac Sabbath have yet to reach the dizzy heights of playing super-sized stadiums just yet but check them out because they've got plenty of sauce .